A new artist in residence at the McColl Center for Art + Innovation is busy creating in Charlotte. But for this particular project you won’t find her work hanging on a wall or standing in a gallery. Have you ever fallen down the rabbit hole that is Wikipedia? Clicking from link to link absorbing articles on anything…or anyone? Suddenly it’s 2AM and you’re left wondering where the last few hours have gone. Heather Hart, hopes to add to that seemingly endless abyss of information during her time in Charlotte through her "Wikipedia-edit-athons." These wiki edit events are a piece of an overall project she's created with Durham based artist Jina Valentine called the Black Lunchtables. 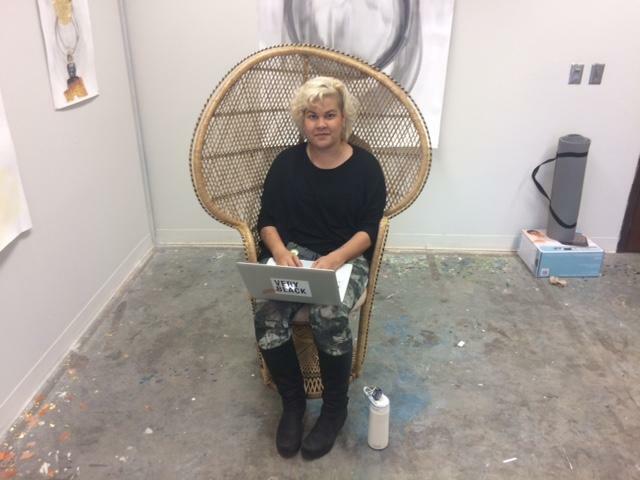 Artist Heather Hart in her studio at the McColl Center for Art Innovation. "It's a challenge for some people to understand this as art but I feel like we're in direct communication with the same values and community and talking about the same things that basically any other genre of media and art does," said Hart. This isn’t art she’s creating on her own. She’s inviting the public to help document the lives and careers of African-American visual artists who have spent significant parts of their lives in Charlotte. She has a list of names the group is slowly going through. Some are well known names like former mayor Harvey Gantt who is also an architect and activist Bree Newsome who is also a visual artist. Other names on the list had no wiki pages before Hart's project came to Charlotte, like multi-media installation artist Willie Little. She hosts these events explaining the ins and outs on how to create an accurate Wikipedia page. It’s sort of like a party but instead of wine and cheese, you bring yourself and a laptop—and it’s hard work. "It is also a way for people to be an activist in a way. Radical archiving. I’m not one to go out and demonstrate in the streets very often but this is a small way for me to actually make a difference in Art history and the historical record in general," Hart said. This radical archiving can be tedious. Everything needs to be fact, no opinions allowed. It can be frustrating for first time editors who are more likely to get their post deleted for committing a wiki faux pas they weren't aware of like how to properly cite resources. "There are people constantly going through Wikipedia and correcting things, deleting things, verifying for things. It's kind of a game in a way to figure out what the rules are, how to follow them, and put the best article that you can that will actually stick," Hart said. Everything is annotated, so writing these entries can feel a bit like writing an art history essay. While she’s had good turnouts for these events in places like New Orleans and New York (she is a Brooklyn based artist) it’s been slow going in Charlotte. Although she’d like to get more people to come out, she says any accurate information added to the online encyclopedia is a win. As a black artist herself and growing up in a family of artists, she says she was aware of the diversity of the art world but it wasn't because of anything she learned in school. "It was really just more and more frustrating that a lot of these elders records weren’t accessible and not taught in school. They might have 10 published books or books they were in. But it’s not together pulled together in a format where someone in the Midwest would teach them. So this was a way to directly affect that," Hart said. The goal of the project isn’t necessarily to start the conversation on black artists in Charlotte, people are already talking she says…but she wants to turn the volume up on that dialogue. 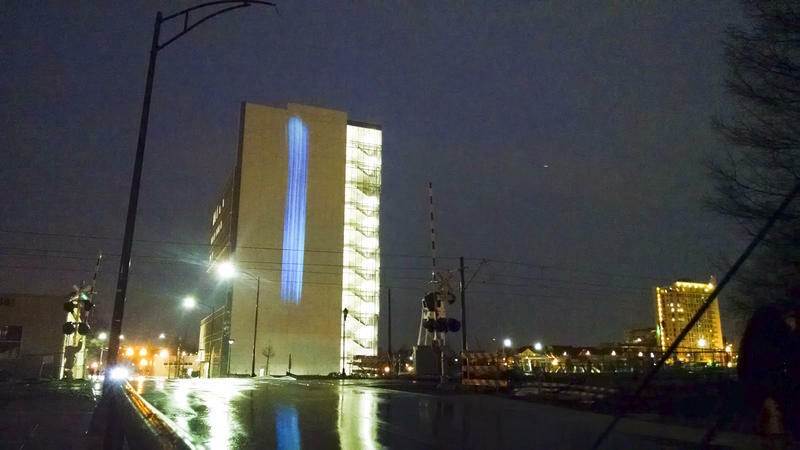 A light installation that went up Friday night on an uptown building is more than a work of art. It’s a bit of science, too, visualizing the quality of the air we breathe. WFAE environmental reporter David Boraks went to see it. The lives and habits of transgender people have been in the news cycle a lot lately in Charlotte. Next week the city is expected to take a vote on expanding the city’s non-discrimination ordinance to include gay and transgender people. 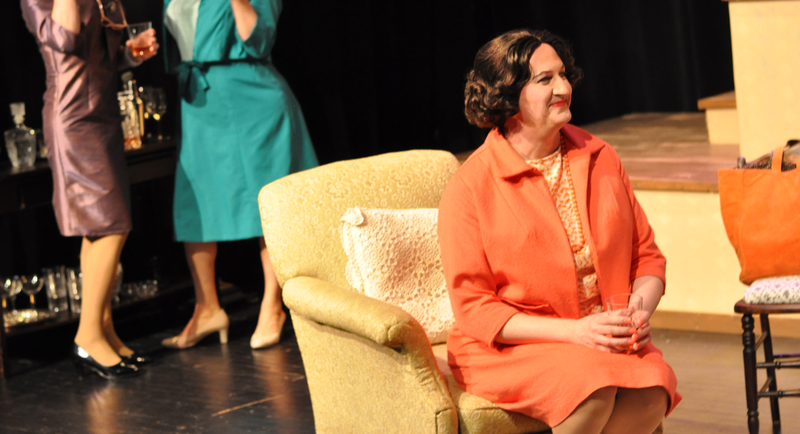 A play staged by Queen City Theatre Company this month provides another setting for the discussion - a hidden bungalow in the Catskill Mountains in the 1960s. 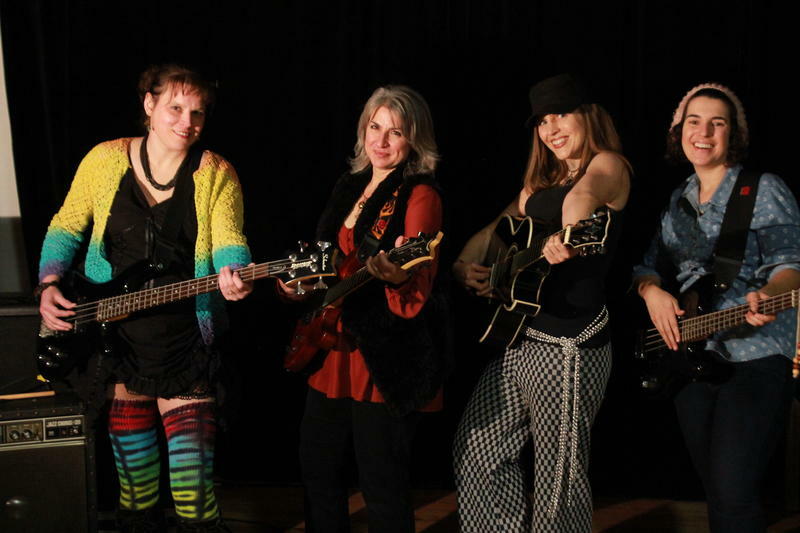 You've probably wondered at some point in your life—what would it be like to be a rock star? One woman in Charlotte is giving that chance to other women, some of whom have never picked up an instrument before in their lives.